The significantly higher implant failure rates in maxillofacial patients, undergoing radiotherapy, might be caused by the long-term effects of reduced vascularization compromising the implantation site. An extensive preclinical animal literature and a multitude of clinical reports suggest the use of hyperbaric oxygen (HBO) therapy as it can improve the tissue vascularity. Hence, it may increase the implant survival rate by enhancing osseointegration process in such patients. The objective of this systematic review was to investigate the effectiveness of HBO therapy on dental implant survival rate in irradiated maxillofacial patients who require prosthodontic rehabilitation. An electronic search without time restrictions was undertaken in April 2016 using databases: PubMed, Google Scholar, and the Cochrane Oral Health Group Trials Register. We also tried to contact the manufacturers and researchers in the field for necessary details. Clinical human studies, on irradiated maxillofacial dental implant patients, including randomized controlled trials (RCTs), prospective controlled trials, retrospective studies, and preliminary reports were included in the study. Data collection was carried out by two of the authors' independently. The titles and abstracts of all reports were screened for the study design and type of reported intervention; all the duplicates were removed. The data search yielded 62 titles, out of which 14 articles were selected for the study by the article filtration criteria: Title/abstract/full text. Data which were extracted by two authors with any disagreement were resolved by the third author, and a meta-analysis was done using binary random-effect model. The results show decreased implant failure rate in HBO group (9.21%) compared to non-HBO group (22.44%). The potential limitations of this study are amount of radiation doses used, period lasting from radiotherapy to the placement of the implants, and follow-up period which varies for every subject of the included study, which can affect the treatment outcome. Although there are many sensitive articles published about HBO, including a number of review papers, RCTs are still lacking. According to the statistical analysis, it can be concluded that preventive HBO therapy can reduce the risk of implant failures in irradiated patients by 1.21 (relative risk) with 95% confidence interval (P < 0.001). Hence, HBO can be the effective treatment protocol for the implant treatment in irradiated maxillofacial patients. From the point of view of implant dentistry, this review discusses the development and clinical use of demineralized dentin matrix (DDM) scaffolds, produced from the patient's own extracted teeth, to repair alveolar bone defects. The structure and the organic and inorganic components of DDM are presented to emphasize the similarities with autogenous bone. 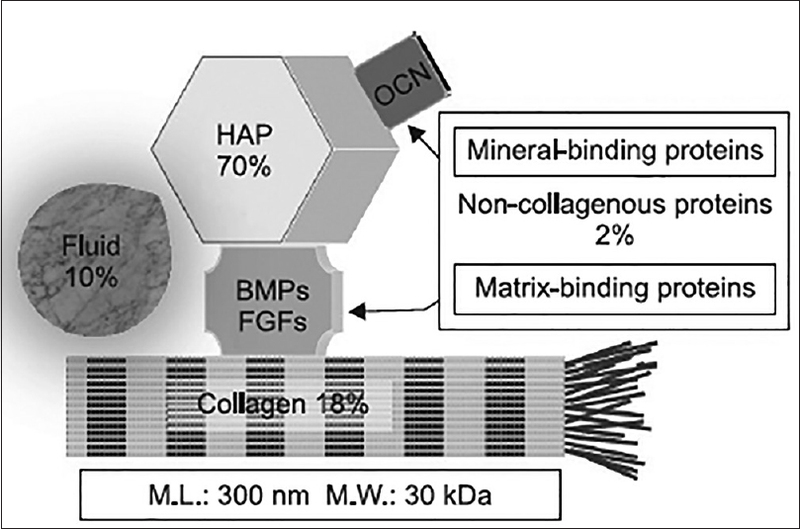 Studies of DDM properties, such as osteoinductive and osteoconductive functions as well as efficacy and safety, which are mandatory for its use as a bone graft substitute, are also presented. The clinical applications of powder, block, and moldable DDM are discussed, along with future developments that can support growth factor and stem cell delivery. Idiopathic condylar resorption (ICR) is a condition with no known cause, which manifests as progressive malocclusion, esthetic changes, and often pain. Cone-beam computed tomography and magnetic resonance imaging are the most valuable imaging methods for diagnosis and tracking, compared to the less complete and more distorted images provided by panoramic radiographs, and the higher radiation of 99mtechnetium-methylene diphosphonate. ICR has findings that overlap with osteoarthritis, inflammatory arthritis, physiologic resorption/remodeling, congenital disorders affecting the mandible, requiring thorough image analysis, physical examination, and history-taking. Correct diagnosis and determination of whether the ICR is active or inactive are essential when orthodontic or prosthodontic treatment is anticipated as active ICR can undo those treatments. Several treatments for ICR have been reported with the goals of either halting the progression of ICR or correcting the deformities that it caused. These treatments have varying degrees of success and adverse effects, but the rarity of the condition prevents any evidence-based recommendations. Purpose: Rehabilitation of maxillofacial deformities is a challenging task because it involves not only a lot of skills and expertise but also many disciplines working in unison for optimum outcome. However, more often than not a prosthodontist is not a member of tumor board and consulted after surgery which affects the prognosis of the rehabilitation adversely. There was a perceived need to create awareness among referring surgeons and physicians, and interprofessional education (IPE) initiatives were deemed necessary to improve this collaboration. Methodology: Four-hour IPE module was developed involving residents and faculty from three disciplines. The change in attitudes was evaluated quantitatively using Attitudes toward Health Care Teams questionnaire both before and after the module. Semi-structured interviews with selected participants provided the qualitative feedback. Results: The questionnaire consisted of 14 questions answered on 5-point Likert scale (1–5). The mean score of pretest was 44.2 and of posttest was 49.1. Difference was statistically significant (P < 0.05). Higher score indicates better attitude. Conclusion: A brief IPE program can improve interprofessional attitudes and collaborative behavior of health-care professionals involved in maxillofacial rehabilitation. It enables the professionals to understand interact and share viewpoints regarding most critical issues faced by them and find solutions to achieve best possible patient care. Aims and Objective: To find out and compare peri implant strain developed in four different types of implant supported prostheses i.e., cement retained splinted, cement retained non splinted, screw retained splinted, screw retained non splinted. Methodology: Four implant analogues were placed in a polyurethane mandibular model at the position of left and right first and second molar. Abutments were fixed to the implant at a torque of 25Ncm.Two such models were made. Four different prostheses were placed on abutment of each model i.e screw retained splinted, screw retained nonsplinted, cement retained splinted, cement retained non splinted. Four strain gauges were attached on the model, two on the buccal and two on the lingual aspect of each implant. Static load of 400N was applied on the prosthesis using universal testing machine.Load application was done ten times for each model and peri implant strain was measured. Results: The mean peri implant strain (±SD) generated was found to be highest in non-splinted screw retained (1397.70 ± 44.47 microstrains and 1265.90 ± 42.76 microstrains) and least in splinted cement retained (630.70 ± 31.98 microstrains and 519.60 ± 32.48 microstrains) in both 1st and 2nd molars respectively. Conclusions: Splinted crowns produce less peri implant strain when compared to non splinted crowns. 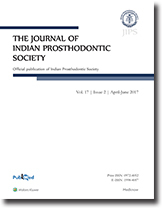 Cement retained prosthesis produce less peri implant strain when compared to screw retained prosthesis. 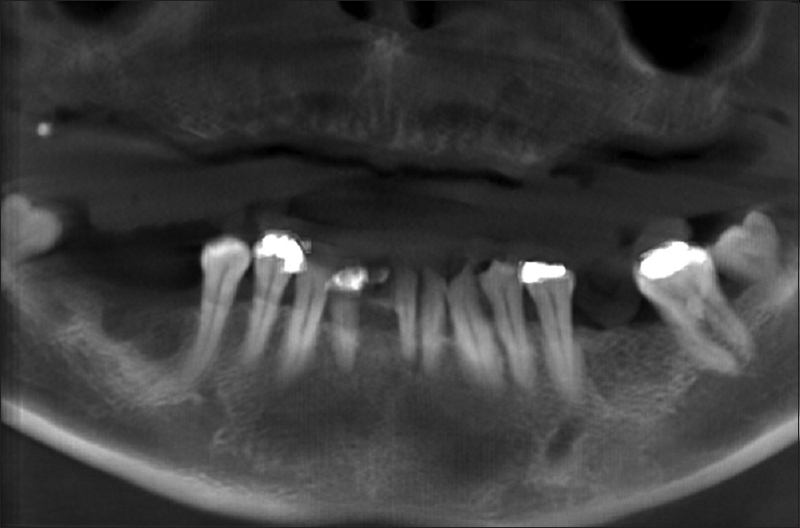 Least strain was observed in cement retained splinted crowns. Aims and Objective: The purpose of the present study was to evaluate and compare flexural strength and Staphylococcus aureus adhesion of heat-activated poly (methyl methacrylate [MMA]) resin modified with a comonomer of methacrylic acid (MAA) and MMA monomer. Materials and Methods: Comonomer preparation was done with the addition of varying concentration of MAA (0, 15, 20, and 25 wt %) to the MMA of conventional heat-activated denture base resin to prepare the specimens. Prepared specimens were stored in distilled water at 37°C for 1 day and 1 week before the evaluation of flexural strength and microbial adhesion. Flexural strength was measured using a universal testing machine at a crosshead speed for 2 mm/min (n = 10). Microbial adhesion (colony-forming unit [CFU]) was evaluated against S. aureus using a quadrant streaking method (n = 5). Data were subjected to one-way ANOVA, and the significant differences among the results were subjected to Tukey's HSD test. P < 0.05 was considered statistically significant. Results: Addition of MAA to the MMA monomer was found to significantly reduce the adhesion of S. aureus for all the groups. Reduction of CFU of S. aureus was found be more significant for Group 3 as compared to control, both at 1-day (P < 0.001) and 1-week (P < 0.002) storage in distilled water. However, no statistically significant changes in the flexural strength were observed with the addition of MAA at 1-day (P = 0.52) and 1-week (P = 0.88) time interval. Conclusion: Addition of MAA to conventional denture base resin reduced the microbial adhesion without significantly affecting the flexural strength. Purpose: Evidence regarding the association of smoking with various forms of chronic musculoskeletal pain is vast, but that with temporomandibular disorders (TMD) is scarce. Aims: The aims of this study are to evaluate the effect of smoking status (SS) and nicotine dependence (ND) on TMD pain intensity and treatment outcome in an Indian population with TMD. Subjects and Methods: Nine hundred and sixty-two patients with TMD were selected for this longitudinal cohort study. Lifetime SS was evaluated and patients were classified as current smokers (YS), former smokers (FS), or nonsmokers (NS). The Fagerstrom test was used to evaluate the ND of YS. Pain intensity was evaluated using visual analog scale scores. Six months posttreatment, the pain intensity was again recorded. The effect of treatment was evaluated using a global transition outcome measure and categorized as treatment success or failure. A minimum 30% reduction in pain was used as a criterion for categorizing patients as those who had gotten “better.” Data obtained from the study were compared using Chi-square tests, paired samples t-tests, and one-way ANOVA tests. The criterion for statistical significance for all analyses was set at P = 0.05. Results: Among groups of SS, YS showed the maximum pain intensity at baseline and posttreatment. The outcome of treatment was most successful in NS and least in FS. The number of patients who had gotten “better” after treatment was significantly highest in NS. There was no significant difference between groups of ND with respect to pain intensity, treatment outcome, or “better” patients. Conclusions: Among Indian patients with TMD, smokers reported significantly greater pain intensity and poorer response to treatment than NS. Pain intensity or treatment outcome was independent of ND. Statement of Problem: Poly-ether-ether-ketone (PEEK), a high-performance semi-crystalline thermoplastic polymer, has been employed to replace the metallic implant components in orthopedics. There were various studies performed in accordance to medical grade PEEK, but the relationship between titanium dioxide (TiO2)-coated PEEK, TiO2-blended PEEK, and untreated PEEK still remains complicated, even undefined. Purpose: The purpose of this study was to compare and quantify the osteogenic potential of untreated PEEK, TiO2-coated PEEK and TiO2-blended PEEK. Materials and Methods: Three groups with ten samples in each group were designed for this study. They were Group 1 - Untreated PEEK, Group 2 - TiO2-coated PEEK, Group 3 - TiO2-blended PEEK. 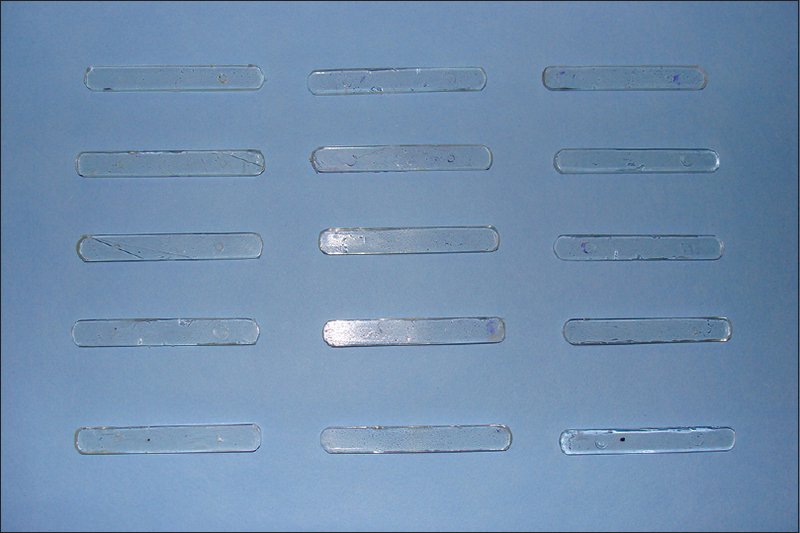 The PEEK samples were prepared according to the ISO standard 15309:2013 and milled to size of 15 mm × 2 mm, and the surfaces were finished with grit-blasted alumina of size 20 μm. In this 10 samples were chosen for Group 1. Group 2 samples were prepared by coating TiO2nanoparticles by arc ion plating, and Group 3 samples were prepared by blending TiO2nanoparticles in HAAKE rheocord with degree of blending analyzed by torque rheometer. These samples were tested for cytotoxicity using human osteosarcoma cells, and alkaline phosphatase (ALP) activity was performed to evaluate and quantify the bone mineralization process. The cross-sectional and the fracture morphology of coatings was observed by a field emission scanning electron microscope (SEM) with the magnification range ×20–×200,000. Result: Results of cytotoxicity assay and ALP assay of Group 1, Group 2, and Group 3 were statistically analyzed. SEM analysis result clearly showed the difference in the matrix before and after cell adhesion. Conclusion: The results made it evident that n-TiO2-coated PEEK was more versatile biomaterial of choice in implant dentistry followed by n-TiO2-blended PEEK and untreated PEEK. Context: Many authors have conducted studies that determine horizontal condylar guidance (HCG) using various methods, articulator systems, and recording materials. However, there is a dearth of literature on variability existing in HCG in individuals with different skeletal relationships. This study is an attempt to verify whether such a difference exists or not. Aims: The aim of this study is to determine and correlate the HCG in individuals with Angle's Class I, Class II, and Class III malocclusion using radiographic and clinical methods. Settings and Design: HCG was recorded for thirty individuals, ten of each class. For each individual, HCG was recorded clinically as well as radiographically. 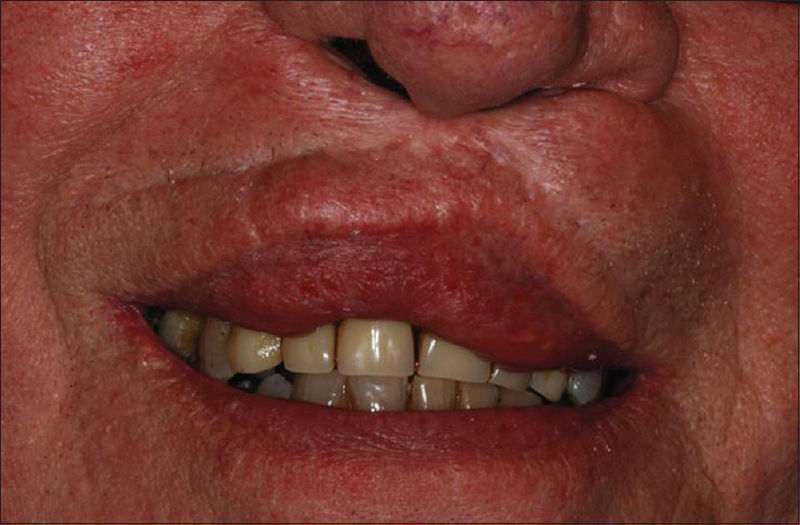 Subjects and Methods: Clinically, HCG was recorded using protrusive check bites and a semi-adjustable articulator. Radiographically, two methods were employed. First, a “tangent method” wherein the angle made by a tangent to the posterior slope of articular eminence with the Frankfurt horizontal (FH) plane was considered as the HCG, and second, a “protrusive method” where the position of the condyle at maximum intercuspation and 6 mm protrusion were traced, and the angle this path made with the FH plane was recorded as the HCG. Statistical Analysis: Descriptive statistical analysis along with Tukey's test and analysis of variance was used to calculate and compare the mean values. Pearson correlation coefficient was used to establish correlation between various means. Results: A significant difference in the HCG of three skeletal relationships was seen, with Class II having a steeper angle than the other two. Among the various methods used, a correlation was found between the clinical and the protrusive method; however, the tangent method yielded greater values of HCG. Conclusions: The average value of HCG should not be used as it differs according to the skeletal relationship. Radiographic method can be used to yield consistent HCG; however, the protrusive method should be employed. Purpose: The aim of this study was to assess the intra-pulpal temperature changes in adhesive resin cements during polymerization. Materials and Methods: Dentin surface was prepared with extracted human mandibular third molars. Adhesive resin cements (Panavia F 2.0, Panavia SA, and RelyX U200) were applied to the dentin surface and polymerized under IPS e.max Press restoration. K-type thermocouple wire was positioned in the pulpal chamber to measure temperature change (n = 7). The temperature data were recorded (0.0001 sensible) and stored on a computer every 0.1 second for sixteen minutes. Differences between the baseline temperature and temperatures of various time points (2, 4, 6, 8, 10, 12, 14, and 16 minute) were determined and mean temperature changes were calculated. At various time intervals, the differences in temperature values among the adhesive resin cements were analyzed by two-way ANOVA and post-hoc Tukey honestly test (α = 0.05). Results: Significant differences were found among the time points and resin cements (P < 0.05). Temperature values of the Pan SA group were significantly higher than Pan F and RelyX (P < 0.05). Conclusion: Result of the study on self-adhesive and self-etch adhesive resin cements exhibited a safety intra-pulpal temperature change. Aim: This study was conducted with the objective to evaluate the cytotoxicity of monomers isobutyl methacrylate (IBMA) and methacrylic acid (MA) in human buccal mucosal fibroblast primary cell culture and to study their effect on cellular enzymatic antioxidants-glutathione peroxidase (GPx), superoxide dismutase (SOD), and catalase (CAT). Materials and Methods: The tissue for fibroblast cell culture was harvested from oral buccal mucosa of a healthy donor. Fibroblast cells were plated at a density of 1 × 104 cells per well in 96-well tissue culture plates. 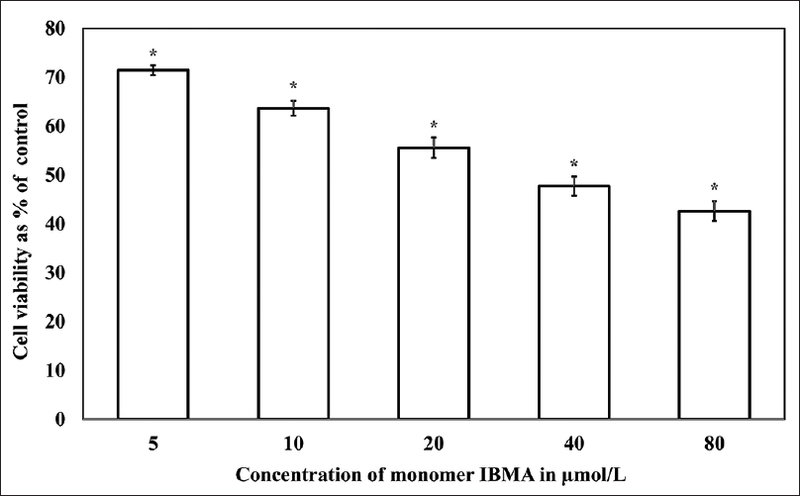 Cells were exposed to various concentrations of IBMA and MA. The cell viability and various enzyme activities were evaluated 24 h after exposure to the above treatments. All tests were done in triplicate. Cell viability was assessed by trypan blue dye exclusion assay and all enzyme activities were done using assay kits from Cayman Chemicals, Ann Arbor, USA. Results: At all concentrations tested a statistically significant decrease in viability was observed in IBMA- and MA-treated cells. Around 42% cells were viable at the highest test concentration of IBMA (80 μmol/L) and only 20% cells were viable at the highest dose (144 μmol/L) of MA exposure (P < 0.05). Dose-dependent decrease in the GPx and SOD activities was observed in cells treated with IBMA and MA (P < 0.05). CAT activity was not detectable in the controls. However, a fall in CAT activity was detected in cells exposed to IBMA and MA at all concentrations tested (P < 0.05). Conclusion: IBMA and MA leaching out from the chairside denture hard reliners are cytotoxic on human buccal fibroblast primary cell cultures. This could be due to the oxidative stress caused by the generation of reactive oxygen species which is evidenced by the fall in activities of antioxidant enzymes (GPx, SOD, and CAT) and cytotoxicity. The loss of an eye is an emotional and psychological setback to the patient. An ocular prosthesis is created to restore the lost anatomical structure and to correct the cosmetic defect. The tear reflexes do not function at optimal levels in anophthalmic sockets which make prosthesis wear uncomfortable. 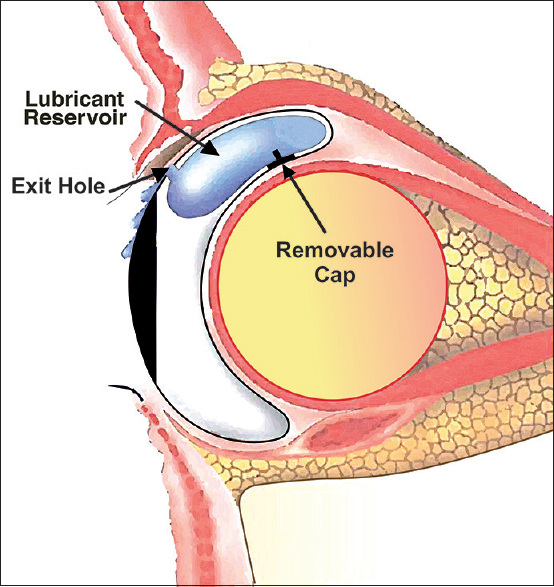 This case report presents an innovative hollow ocular prosthesis with functional lubricant reservoir which upon normal blinking would draw the lubricant from the reservoir through an exit hole which spreads over the prosthesis allowing a comfortable and long duration of prosthesis wear. Implant-supported removable dental prostheses may be supported by a variety of splinted (bar and clip) attachment systems or nonsplinted abutment-based attachments (ball, magnets, and resilient stud attachments such as locators [Zest Anchors], ERA [Sterngold], and nonresilient-stud attachments such as ANKYLOS SynCone [Dentsply Implants]). Nonsplinted attachments are preferred as they are more economical, less technique sensitive, easier to clean, repair, and maintain than splinted (bar and clip) attachment systems, but they work favorably only when implants in the arch are placed parallel to each other. Often implants in the anterior maxilla have to be placed with a labial inclination (due to the proclination of the premaxilla), resulting in lack of parallelism between the anterior and posterior implants, making it challenging to fabricate a removable dental prostheses supported by nonsplinted attachments, and necessitating the use of angled abutments. Recently, a novel implant design with a 12° restorative platform angulation has been introduced by Southern Implants (Co-axis, Keystone Dental, Inc., Burlington, MA, USA). These new angulated implants aid in minimizing the divergence between the anterior and posterior maxillary implants without using angled abutments. 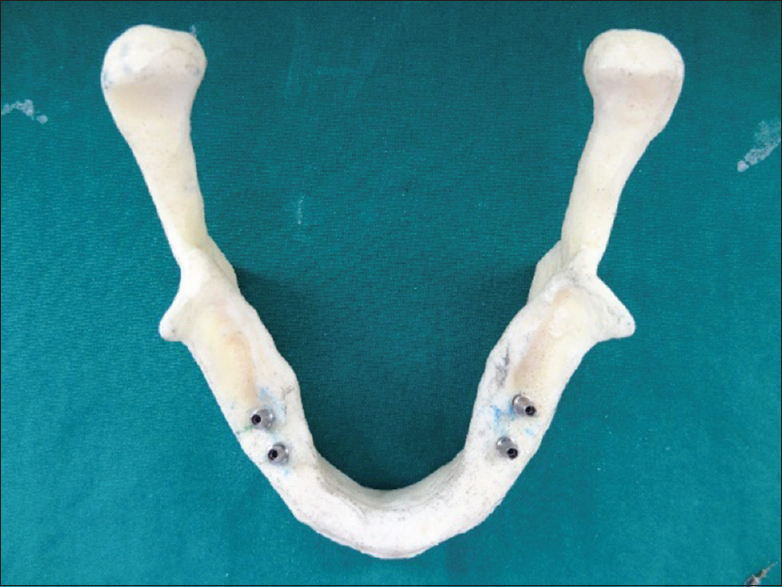 The purpose of this article was to report a case utilizing the novel angulated implants (Co-axis, Keystone Dental, Inc., Burlington, MA, USA) in the premaxilla for fabrication of maxillary removable dental prostheses supported and retained by nonsplinted attachments. This paper describes a method used for the fabrication of a two-piece denture obturator for a patient who had surgical removal of the premaxilla due to squamous cell carcinoma. The patient had been wearing a two-piece obturator but encountered difficulty in inserting the prosthesis. In this case report, a lock-and-key mechanism was used to easily assemble the two-piece prosthesis intraorally. A keyhole was designed on the obturator to act as the lock while the denture was used as the key that fitted into the keyhole. This mechanism facilitated insertion and provided retention for the prosthesis. 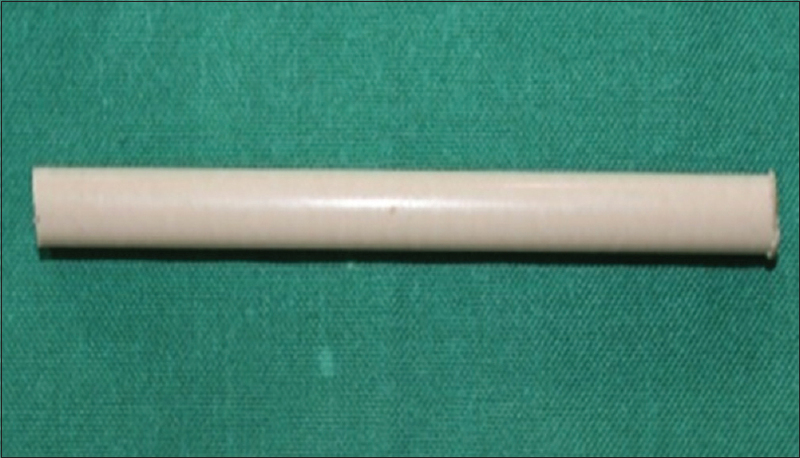 Heat-cured resilient acrylic material (Molloplast B®), which was used to fabricate the obturator, was a nonirritant, nontoxic, tissue-compatible material. It also did not contain plasticizers, therefore eliminating the problems associated with leaching out of plasticizers. The use of this flexible and resilient material allowed the obturator to engage in the undercuts without causing trauma and irritation to the soft tissues in the region of the defect. 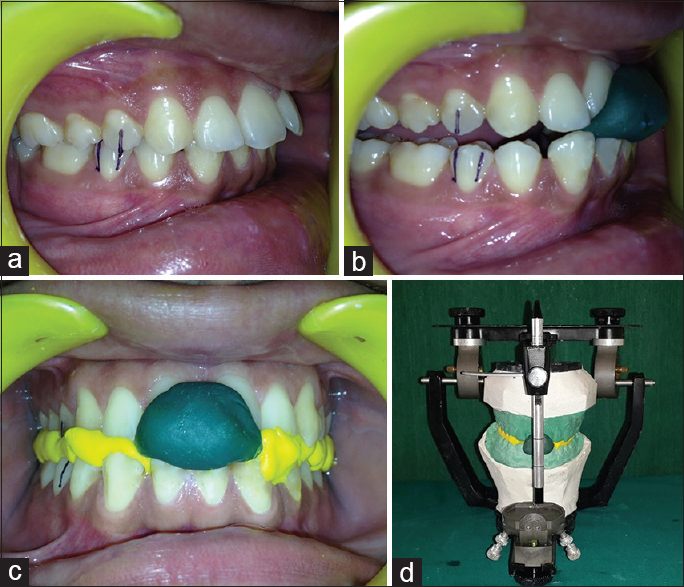 To conclude, the “lock-and-key” mechanism used in the fabrication of the two-piece denture obturator provided the patient with a lightweight, comfortable, and user-friendly form of prostheses. One of the most regularly encountered forms of partial hand loss causing physical, psychosocial and financial burden to an individual is the finger amputation followed by trauma. 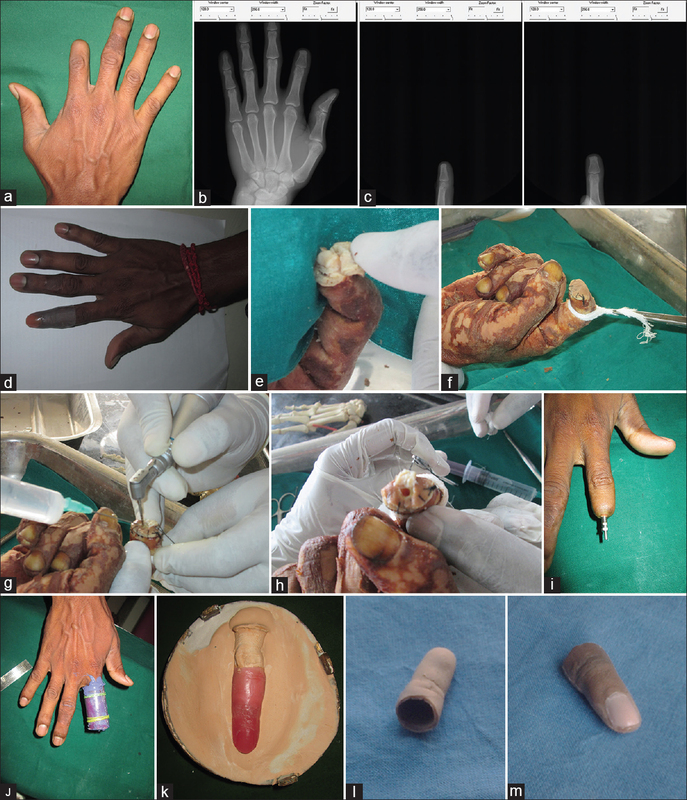 The prosthetic rehabilitation of amputated finger is a good treatment option, when compared to all other means of complex and unaffordable options. Osseointegrated implant retained silicone finger prosthesis with innovative prosthetic designs can provide the patient a life changing experience.